Fernando Jiménez and Mario Luna, representatives of the Yaqui people. 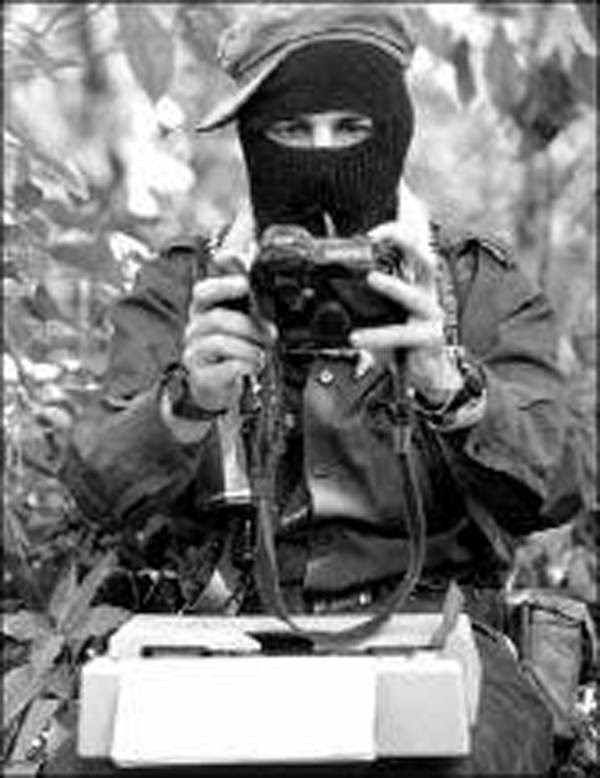 On June 29, the Tenth District Judge had upheld the amparo [order of protection, appeal] granted to Luna in February of this year [against the original arrest order] and, within 20 days, he was to have been released after nine months of imprisonment in the Social Rehabilitation Centre No. 2, in Hermosillo. “The judge has violated the human rights of Mario Luna because he has not studied the case, and the case has a high political content. However, I am convinced that he will be released from prison sooner or later, as there is no evidence to prove his alleged role in a kidnapping and robbery,” the lawyer said. Mario Luna and Fernando Jimenez were imprisoned on September 11 and 23, respectively, … by the current state government, headed by PAN member Guillermo Padres. 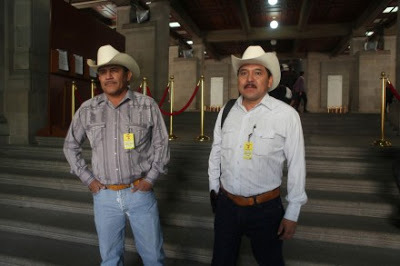 The two spokesmen for the tribe are considered political prisoners, as they were the most visible faces in the defence of the Yaqui territory and water, after the governor decided to transfer the water belonging to the ethnic group to the Sonoran capital through the Independence Aqueduct, the notable work of the governor at a cost of 4 billion pesos. Lawyer Mejia Cisneros announced that, in response to the warrant, he will meet this week with the rest of the defence team, as well as with Mario Luna to plan their way forward in this process. “The options that the defence team will raise will be three: present a new appeal, appeal the detention order or ask the court to enter into the merits of the case … Mario will be informed about it and choose the path along with us,” he concluded. *MV Note: Luna and Fernando Jiménez, Yaqui tribal spokesmen, were arrested in September 2014 on charges of kidnapping and theft committed on June 8, 2013, against Francisco Delgado Romo, another Yaqui tribe member considered by the tribal leaders to be an agent of the state government. The context was a protest closing the Mexico-Nogales Highway because the state government refused to comply with the judgment of the Supreme Court of Justice, which recognized that if the Independence Aqueduct, carrying water from the Yaqui River to the state capital of Hermosillo, violated their rights to a percentage of water from a dam on the river, it had to be cancelled. Delgado apparently drove a car into the demonstrators. Under the rights of indigenous people to exercise jurisdiction via traditional uses and customs, the protestors detained Delgado and his car. Delgado went missing in August of 2014. He was found dead on Sept. 8, a few days before Luna and Jiménez were arrested. The orders for their arrests had been issued sixteen months previously, but not executed.